Sherri Fisher is a world leader in applying Positive Psychology research. She helps emerging leaders and students appreciate and leverage their strengths and talents, coaching them to take hopeful, sustainable action for both achievement and wellbeing. Sherri consults with growing organisations and speaks to a variety of groups who support students, including physicians, psychologists, school professionals, and parents. Sherri believes that people find success in learning and in life through discovering, redirecting, and engaging strengths; developing optimism and resilience; and improving the key relationships necessary to support academic, personal and professional growth. Her model for improving wellbeing, the POS-EDGE®, is inspired by Martin Seligman’s PERMA theory of wellbeing. Sherri is co-author of the popular positive education book SMART Strengths: Building Character, Resilience and Relationships in Youth; has written over 50 articles for Positive Psychology News; and contributed to three edited collections including Character Strengths Matter. Sherri began her professional career working with bright adolescents who struggled with learning, attention and organisation. When these students learned to magnify and leverage their strengths and identify their success patterns, they flourished in spite of their challenges. Sherri’s clients have gone on to attend elite colleges, launch successful companies and build flourishing relationships, careers, and businesses. 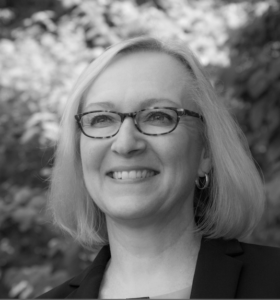 As the world’s first learning specialist to earn the University of Pennsylvania’s Master of Applied Positive Psychology (MAPP) degree, Sherri has had the privilege to learn and train with the top researchers and practitioners in the field. She is inspired by human potential and the systems that develop it, and maintains close connections with an accomplished, international network of educators, professionals, Positive Psychology researchers, and practitioners. She has two grown children and lives in the US with her husband and three big, friendly dogs. Find out more at www.sherrifisher.com and www.learnandflourish.com. Kathryn Lovewell is a passionate Mindful Self-Compassion teacher having trained with Kristin Neff PhD, world leading expert in self-compassion. She has been teaching meditation and self-inquiry since 2006, having qualified as a JourneyTM Practitioner with Brandon Bays, internationally acclaimed mind/body healing expert. For the past decade she has combined meditation, mindful awareness and therapeutic practices to create self-development programmes to inspire emotional health and wellbeing. She has trained children and teens in care, young offenders, students, teachers, senior leaders, corporate professionals and even prisoners. The extraordinary life-changing results of her Mindful Stress Management programme for men in prison demonstrates the potency of meditation and self-inquiry. Kathryn is the author of the bestselling book Every Teacher Matters: Inspiring Wellbeing through Mindfulness and also the co-founder of The Teacher Sanctuary – a global online wellbeing resource for teachers. 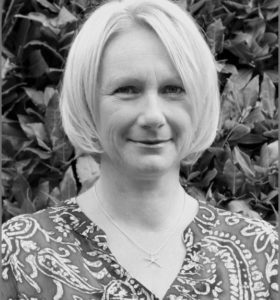 She is an international speaker and trainer, working with organisations such as The National Union of Teachers, Australian Independent Schools and the Institute of Education. She has been an enthusiastic teacher in mainstream secondary schools and in the community for over 20 years. She has a private practice with The Inner Journey Clinic in Harley Street, London. Kathryn is the proud mum of two gorgeous teenage boys, lives with her inspirational partner Liz, and fervently believes mindful self-compassion is pivotal to mind-health and happiness.